Home / Windows / How to Fix Error Bootmgr is Missing on Windows 10 Machine? In this article we will share all known solutions on how to fix Bootmgr is missing error that often appears on Windows 10 machine (and older Windows versions). Bootmgr (Windows Boot Manager) is a software that is located at the boot sector of the system partition of the hard disk. Usually it’s being stored at System Reserved partition which has no drive letter. This file is responsible for booting Windows, so its errors or issues can make your Windows 10 OS fully unworkable. Most often Bootmgr is missing error appears due to corrupt and/or misconfigured files, hard disks, OS errors during/after upgrading, misconfigured and outdated BIOS and others. First of all, you should check the basic solution – reboot your machine. In many cases error appears because of a simple fluke. If this didn’t help you, follow the methods below one by one – most likely, one of them will help you. Misconfigured BIOS/UEFI settings together with a flash drive that was forgotten to be ejected can cause Bootmgr is missing error. This is happening due to a fact that the BIOS settings configured to use some of the removable devices to boot from (for example, USB-drive, external hard drive or DVD), nor the internal hard drive where the system is located. BIOS is looking for the boot manager on this device and can’t find it (that’s why user facing message Bootmgr is missing). So, in such case you just need to turn off the PC and eject all removable devices from the computer. After that turn on your PC again and check if the error persists. In case you’ve disconnected all removable devices from the PC and you are still facing error Bootmgr is missing during the boot, then you need to check the settings of the boot order in the BIOS. This method is pretty similar to the Solution 1, but it can help you in case you are using 2 or more hard drives. 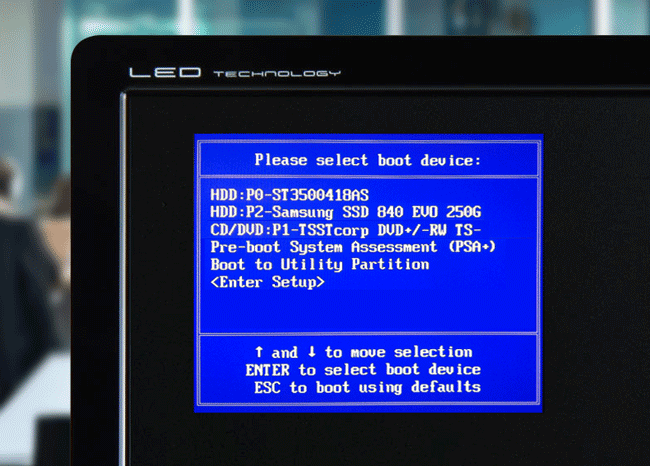 As we already mentioned above, you have a special setting in BIOS, which is responsible for OS boot order. In case you are facing message Bootmgr is Missing, press Ctrl + Alt + Delete and when the computer starts booting you need to press F12 button for a few times (this is applicable for almost all motherboard cards and responsible for starting the boot menu). 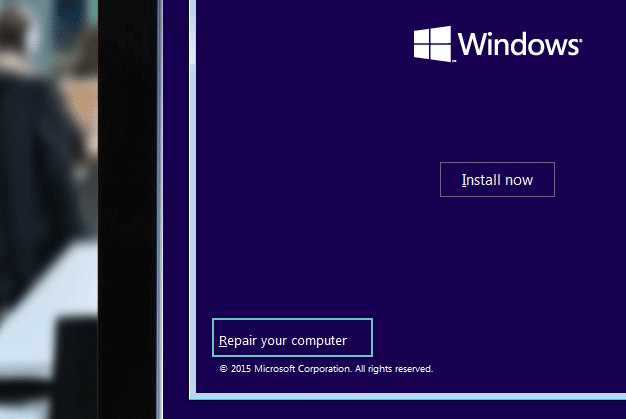 READ ALSO: What is SuperFetch Service on Windows 10 and Should You Disable It? Tip. In case you didn’t find your hard drive with the system on it in the list – you need to check if it’s properly connected to the motherboard. You need to open the PC case and check all SATA/M2/PCIe-connectors; also check if the disk is connected to a power source. In appeared list choose the appropriate disk (on which the operating system is located) and press Enter to confirm booting from it. In case the system boots fine after that and you stopped facing Bootmgr is missing error, you need to change the boot order in the BIOS to the appropriate hard drive, from which the boot was successfully performed. To do this, reboot your computer once again and before the Windows start actually booting press the Delete button (it can be another button to run BIOS, it varies on the machine). Here in BIOS/UEFI you need to find option Boot Device Priority and change the boot order by choosing the disk with installed OS for the first place. Save settings and reboot your computer. After that the error Bootmgr is missing should disappear. Choose the needed OS and wait until the process finishes. Wait until the process finishes and reboot your machine. Reboot the computer. After that the problem should be solved! Another method to solve the Bootmgr is missing issue is to check the partition on which the Bootmgr is located. As we mentioned before, it’s important to keep System Reserved Partition active: if it’s not – the user can start facing Bootmgr is Missing error. Type in and run diskpart. Type in and run list partition. Windows clean install is a solution that works almost in every case when error Bootmgr is missing appears (it’s important to set correct settings in BIOS and make sure that the PC is not trying to boot the OS from the removable drive). Another possible cause of the Bootmgr is missing error could be a damaged or unworkable hard disk. If the Boot manager is located on damaged sectors of the hard disk – your PC won’t find it and you’ll face error message on your screen. Another common situation when it’s time to make a decision to purchase a new hard drive; especially if it starts working very slowly and with a lot of bugs. In such case we recommend you to perform a hard disk check and if it will result with many errors – it’s time to replace it.